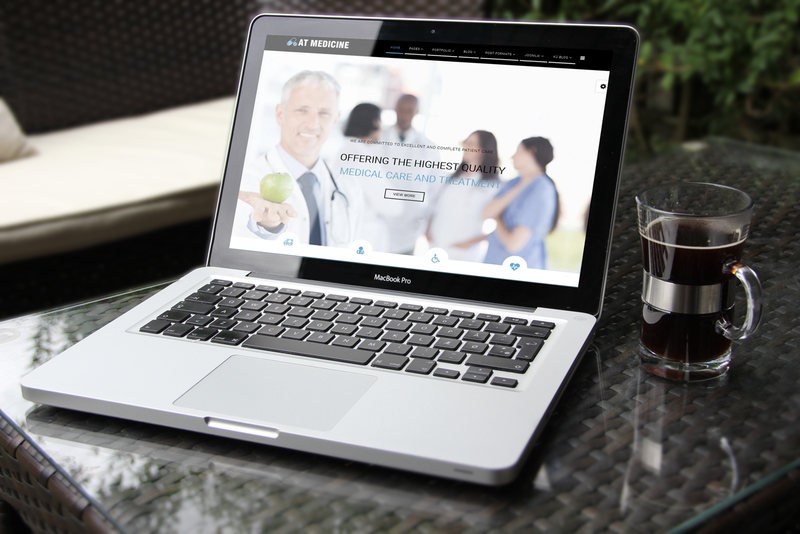 AT Medicine is Responsive Clinic Joomla Template tailored for Clinic or Hospital websites. 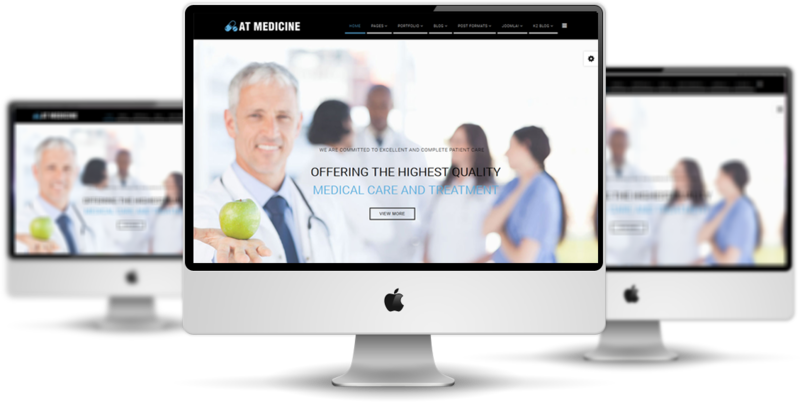 This is an elegant template for clinic and hospital to create online marketing solutions and custom responsive website development for health companies and medical organizations. Besides, it provides detailed information about its services such as excellent team of doctors, emergency, special needs care, so on. AT Medicine supports mobile/tablet version with 100% responsive layout. In addition, the template framework comes with latest Bootstrap CSS Framework, Support Font Awesome and K2 extended style. After that, 4 color schemes and boxed layout are also included. 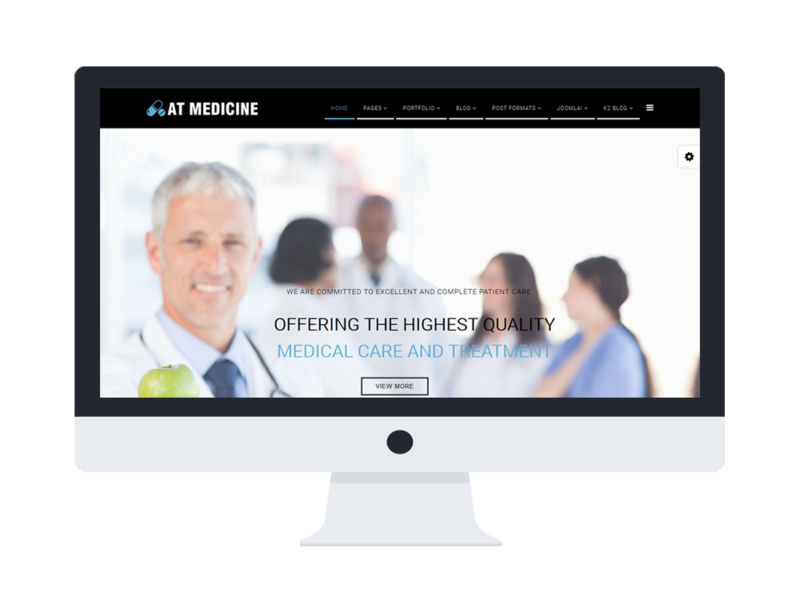 Free medicine templates dramatically improve visitors’ browsing experience and significantly increase patient satisfaction and retention. 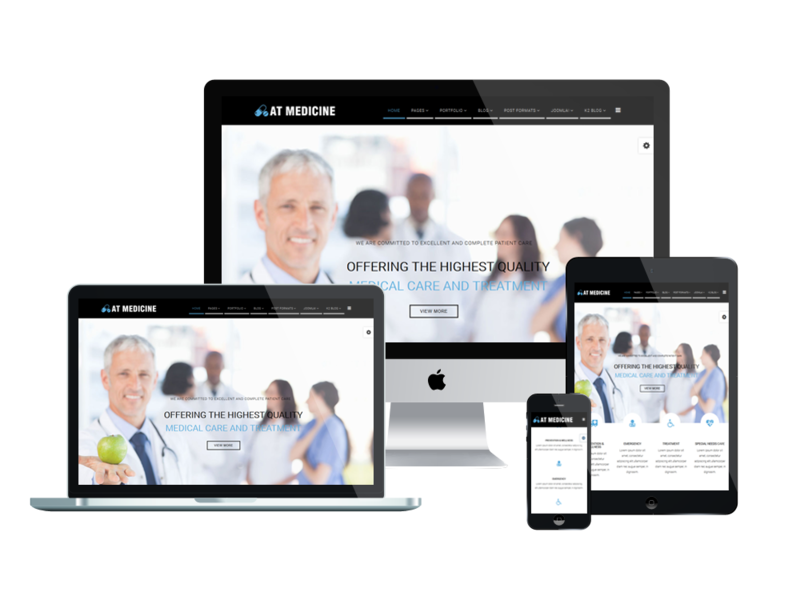 AT Medicine is elegant and clean looking template designed mainly for clinic or hospital websites. It’s easy to custom and edit content via convenient template parameters. 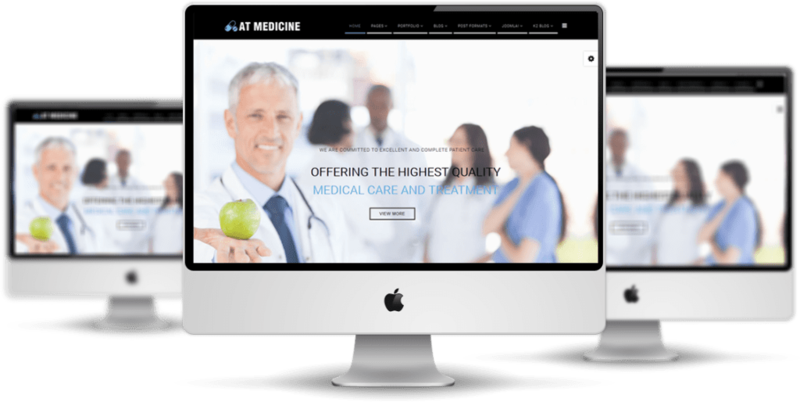 AT Medicine builds with fully responsive layout based on Bootstrap CSS, so it has great layout in modern mobile devices such as iPhone, Android and Windows Mobile-based. 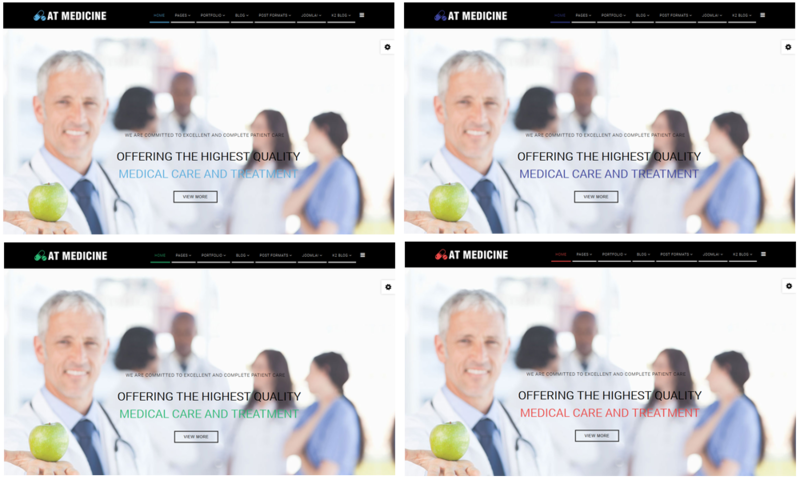 AT Medicine supports 4 color styles helping to create wonderful websites with various layouts. Besides, the template comes with flexible homepage which includes boxed and full width layout. You can see demo via Template Site Tool on demo site. It’s also easy to extend color styles.